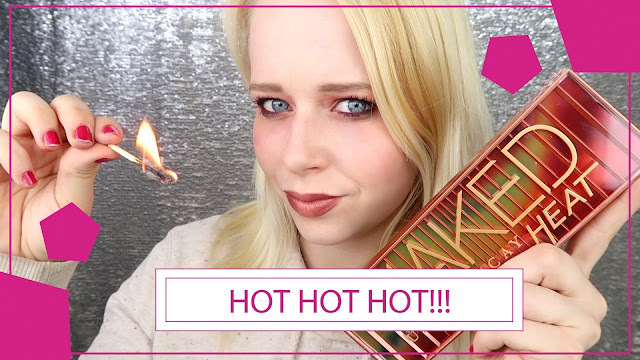 Urban Decay Naked Heat palette and Vice Fuel Lipstick. Urban Decay launched 12 brand new shades, that are hotter than before. There are some amber-hued neutrals, including warm browns, burnt oranges and rich siennas. This is a palette that Urban Decay really missed in their collection. This palette has more matte than shimmery shades and I love it! This palette really surprised me with the quality of the pigmentation. The swatches of these colors can be found at the end of this blogpost. With this palette you can create a warm toned daytime look, or an intensely smokey nighttime look and even everything in between. This palette really is a musthave! But of course to finish of a look you also need lipstick. That is why I bought myself this pretty lady: Vice Lipstick Fuel. This is a cream lipstick that comes in a special packaging. The sleeve of this lipstick is also 'heat inspired' because it also has that warm orange color. The swatches are really just one swipe with my finger. As you can see the colors are really pigmented and I just love every single one of them. On my YouTube channel (sorry but that one is Dutch), I also created a look with this palette. If you would like to check it out, you can do that here. Urban Decay Naked Heat is now available at the UD counters, be quick and get your palette! Are you going to get it yourself? Wow dat palette is echt prachtig!